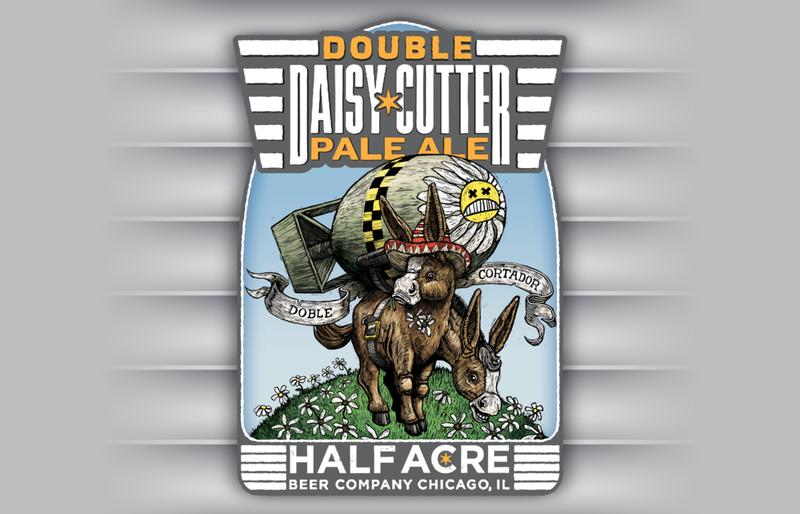 The extra-potent version of Half Acre’s flagship pale ale, Double Daisy Cutter introduced to the world the never-named two-headed donkey that has been revisited again and again since. 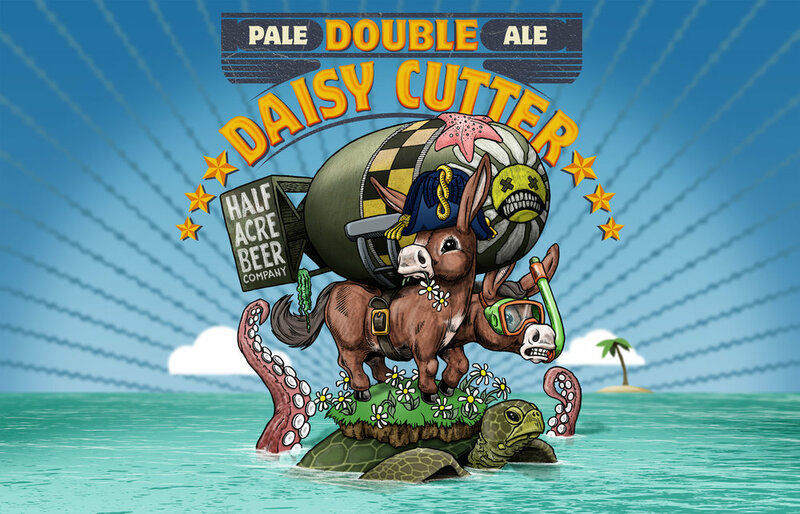 Declared one of the “manliest beer labels” by Mens Health. Ok, I’ll take it. 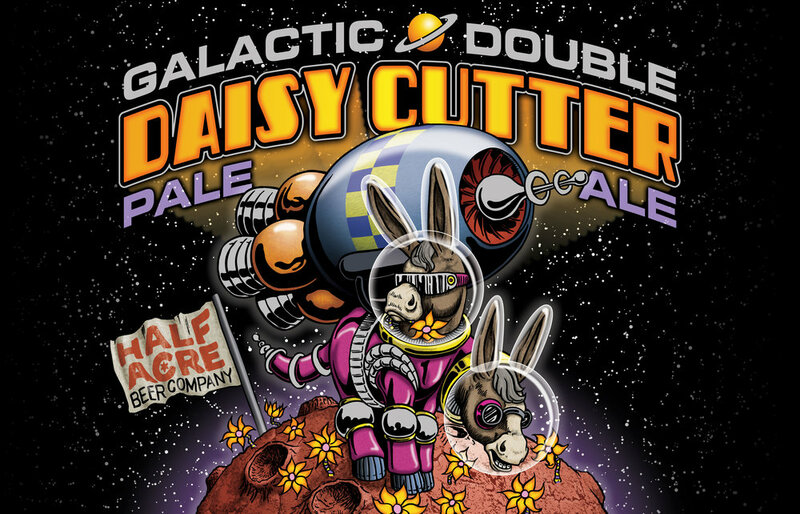 And then the beer was reformulated with Galaxy hops and the two-headed donkey went to space.